With 4 spacious bedrooms, this split level home is sure to impress the conscientious home maker and astute investor alike. Privately designed and built to last offering the extra elbow room we always look for. There's an A1 Tenant in place so you'll need to be patient as moving into this quality home can't happen until July - but you can collect the rent @ $400pw?? * Internal laundry is big enough to put the bait or beer fridge and comes with a laundry shute from the bathroom - kids will love it! * Cool tiles in living areas also has split air as back up making it easy to cool during the steamy days. 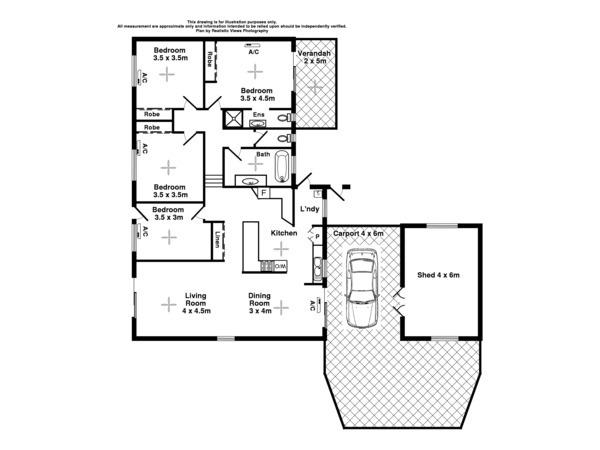 * 4th bedroom has a separate entry and can be used as an office. * Early morning rush hour becomes a thing of the past with these 2 bathroom options - an ensuite in the master & a large main bathroom that comes with a bath tub making bath time so much easier if you have young ones. * Back verandah off main bedroom flows out to secure lawned area of back yard. * Sloping front yard provides a dramatic front entry and if you are a handy gardener, you could really create a special mark. * Property is fully fenced so it's safe and secure keeping your family and pets off the street. * Concrete driveway provides for 1 undercover car park but additional concreted area is great for the 2nd car, boat or trailer. * The neighbourhood is pretty good too - surrounded by other families where the kids will make friends pretty quickly and there is nice shady park at the end of the street.